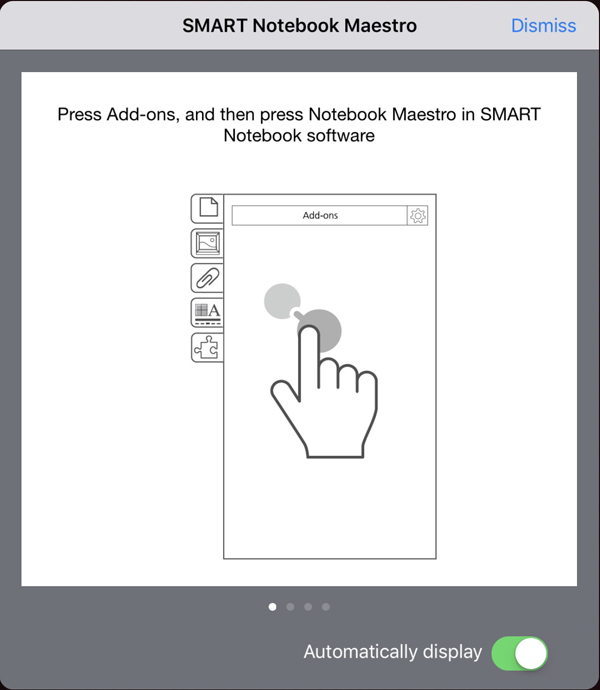 With the Maestro add-on, you can control every aspect of your SMART Notebook lessons from your iPad. 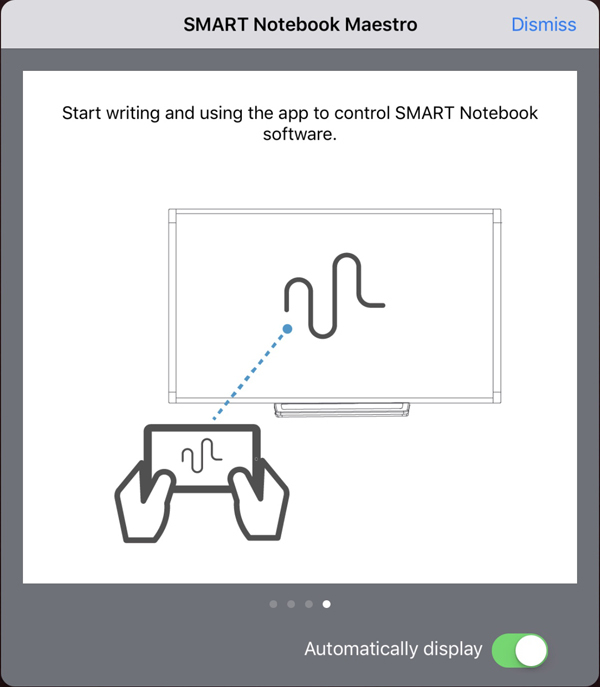 First make sure you have the SMART Notebook application on your computer, as well as on your iPad. Next, download the Maestro Add-on to your computer. 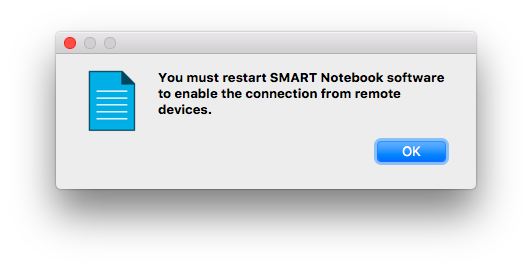 You'll then need to open SMART Notebook and activate the Maestro add-on. 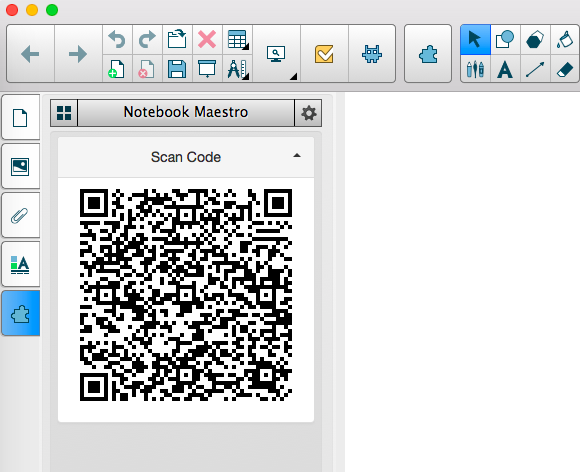 Do this by clicking on the Add-ons button on the left toolbar, and then click on Notebook Maestro. 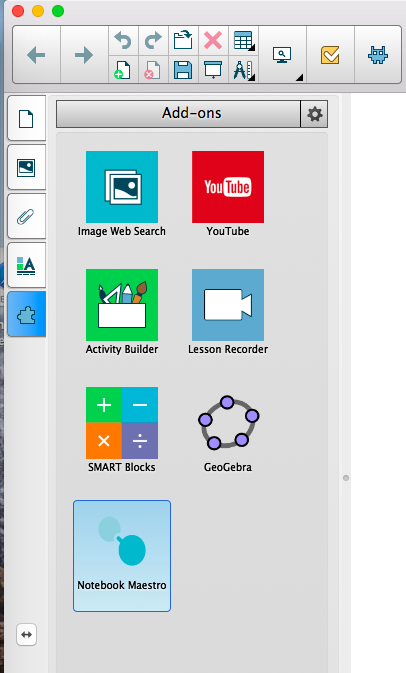 Next, click on the Enable Maestro button. You'll see the following pop-up. 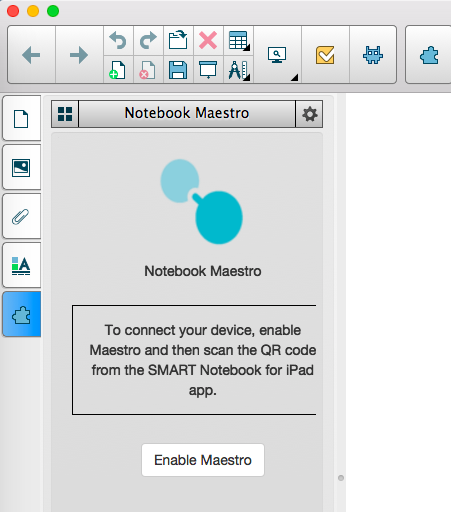 Once Maestro has been enabled, you'll need to restart the Notebook application. 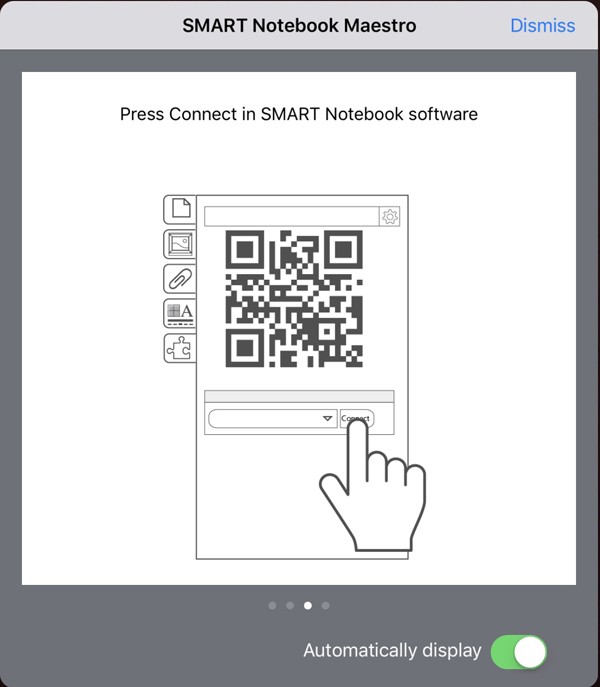 Next, open SMART Notebook on your iPad and tap on the Connect to SMART Notebook icon. Tap OK, to allow Notebook to access your camera. 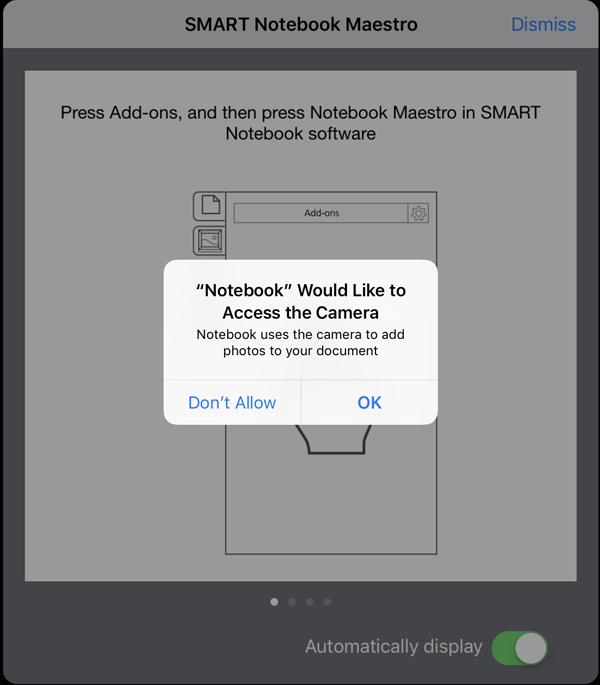 It will then display prompts on your iPad, for the steps we took on your computer above. 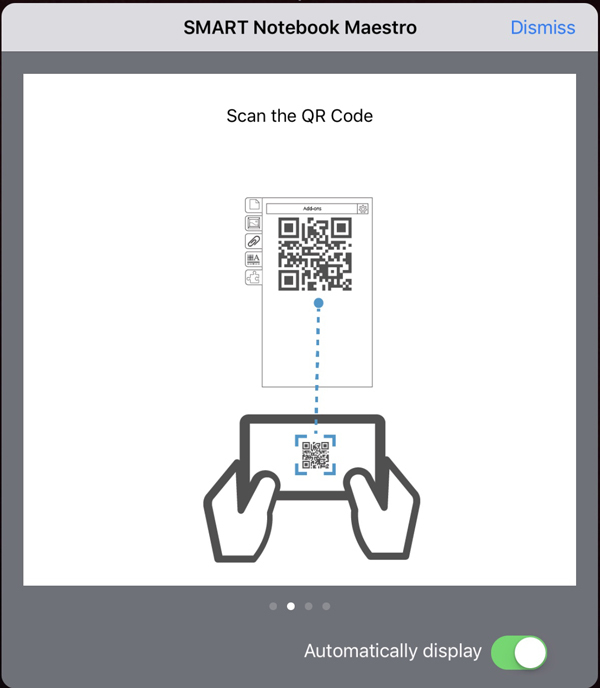 You can view the prompts, or tap Dismiss to skip the steps. 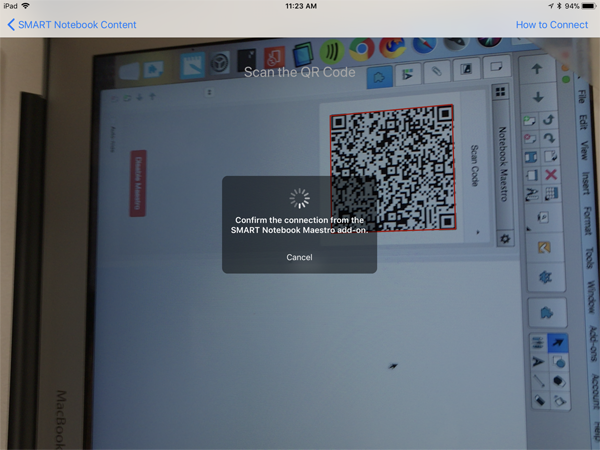 Using your iPad, scan the QR code that is displayed on your computer. 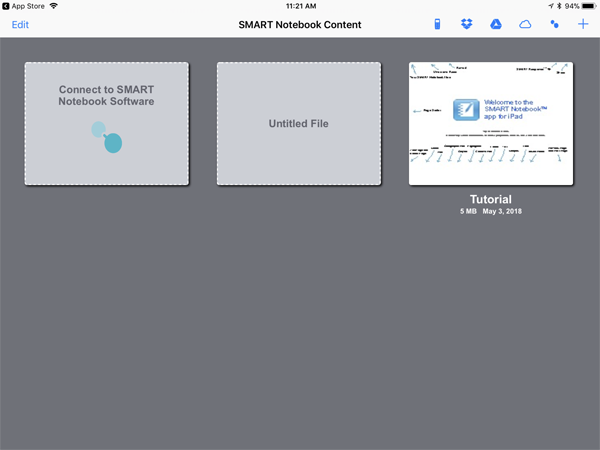 Start using your iPad with the SMART Notebook Software! 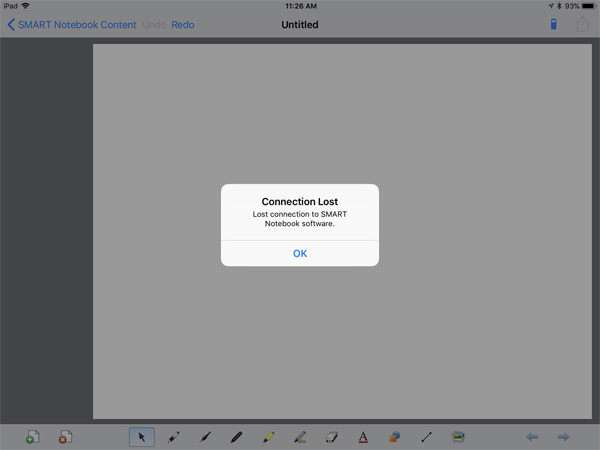 When you click on disconnect on your laptop you will see the following on your iPad.